AZS Brick is a kind of fused cast zirconia-corundum refractory brick with high refractoriness and high intensity and mainly used to build glass furnace for resisting high temperature and melt glass corrosion and also can save energy. 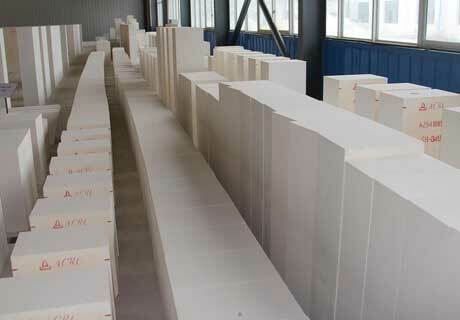 AZS Brick for sale in Rongsheng Refractory is also called zirconia-corundum refractory brick which is a kind of white solid body that made from alumina powder and about 65% ZrO2 and 34% SiO2 with zircon sand inside, and which is poured into mould after being melted in the electric melting furnace. AZS bricks’ petrographic structure is made of eutectoid and glass phase of corundum and zirconium clinopyroxene. 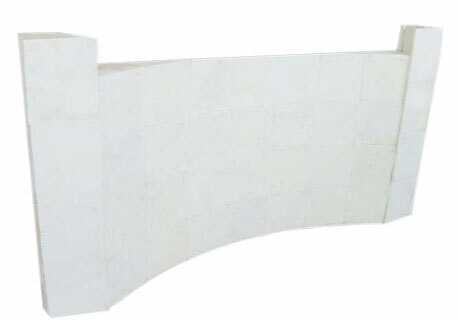 AZS Brick is a kind of fused cast zirconia-corundum refractory brick which is short writing of zirconia-corundum refractory brick according to the chemical component of ternary phase diagram that Al2O3－Zr02－Sio2. Put in order as their content. Nation standard adopt the abbreviation that AZS from “A” of Al2O3, “Z” of ZrO2 and “S” of SiO2. Such as No. 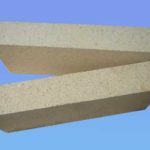 33 fused cast zirconia-corundum refractory brick adopts the “AZS-33#” as its abbreviation, No. 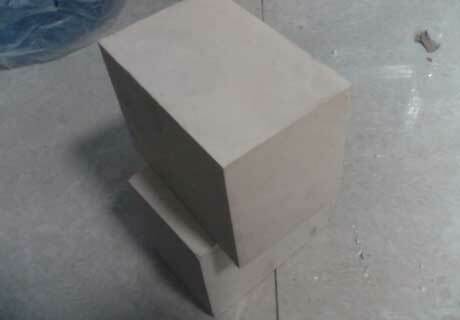 36 fused cast zirconia-corundum refractory brick adopts the “AZS-36#” as its abbreviation and No. 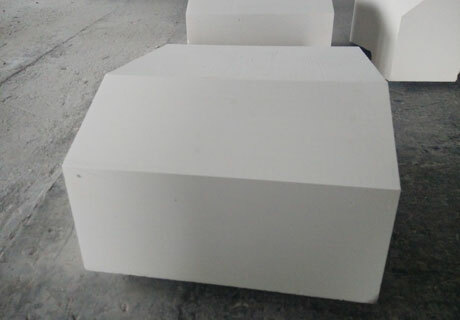 41 fused cast zirconia-corundum refractory brick adopts the “AZS-41#” as its abbreviation. AZS Brick is mostly used in glass industrial furnace, glass electrical furnace, slideway kiln of iron and steel industry, sodium metasilicate industrial furnace for resisting the chemical and mechanical erosion at high temperature. 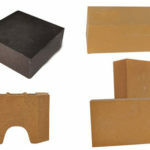 There are four steps for manufacturing process of AZS brick including melting of raw materials, casting, cooling and cutting. Prefer proportions of 1:1 zircon sand and industrial alumina powder and add few volume of NaZO, B20 agent of fusion after mix perfectly through smelting and pouring into mould at high temperature of 1900~2000℃ resulting the fused cast brick contained 33% ZrO2 content. On the base, adopt part of desilicication zircon sand as the raw material to make the fused cast brick with 36%~41% ZrO2 content. If the casting speed is too fast and the temperature is too high, the air in the mold will not be exhausted and the bottom of the mold will be broken, which will waste the casting time. So it is very important to control the casting temperature and speed. The quality of AZS brick is subjected by the quality of raw materials and manufacturing technology. 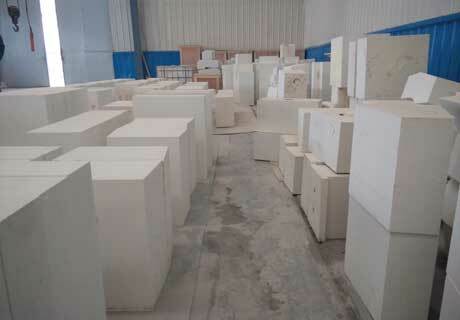 Rongsheng Refractory as a professional fused cast AZS block manufacturer can provide customers with high quality AZS brick at low price based on our professional engineers, advanced technology and equipment. Rongsheng Refractory manufactures all kinds of high quality fused cast AZS bricks for various furnace and kiln application according to customers’ special requirement. 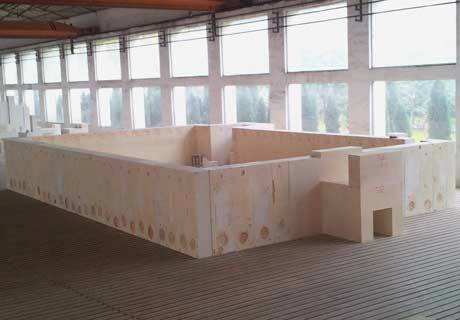 Welcome to send us a quote for the detail information about AZS Bricks. We will reply you at the first time.